What is more festive than arts and crafts with your pals and a glass or two of bubbles? Nothing, absolutely nothing! During this workshop you will design, style and create your own seasonal wreath ready for your door/wall or table centrepiece. 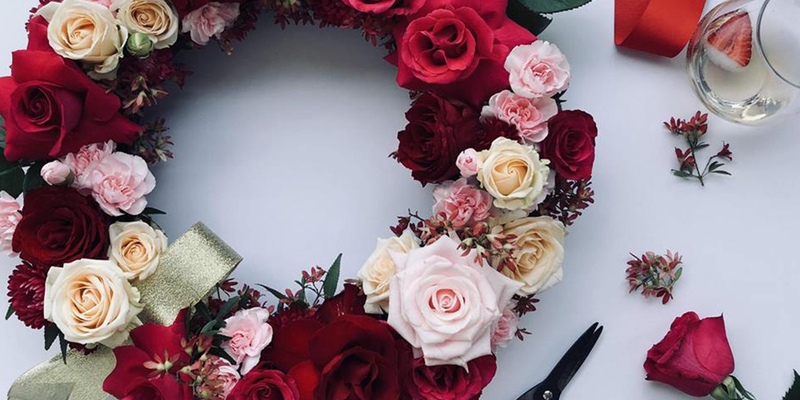 You will be given all the materials to create a stunning wreath using fresh foliages, florals and ribbons. You can take your masterpiece home at the end of the session – a perfect gift or great decoration for your own home. No previous experience is necessary as Rachel Bethany will guide you every step of the way and assist all participants as needed. Plenty of bubbles, Christmas tunes and nibbles will guarantee a jolly and festive atmosphere.